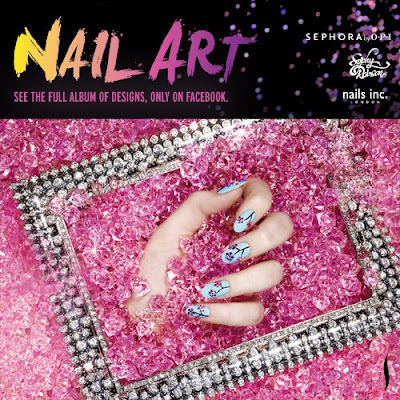 I got an email this morning featuring Sephora's new nail art looks. These looks were envisioned with the help of Sophy Robson. Sophy Robson is a premier nail artist in the UK. She has done nails for many magazines such as Vogue (UK, French, Russian & Japanese), Vanity Fair, Grazia, Glamour, Elle and many others. This collection feature six looks that are "Embellished, Blasted and Animal Print". The six looks are: Cherry Blossom, Distressed Metal, Glitterati, Wild Giraffe, Punk Cheetah and Purple Moon. Sadly, this look didn't have a video tutorial, but the written tutorial can be seen here. Will you trying out any of these looks? ok when are we linking up to do this?